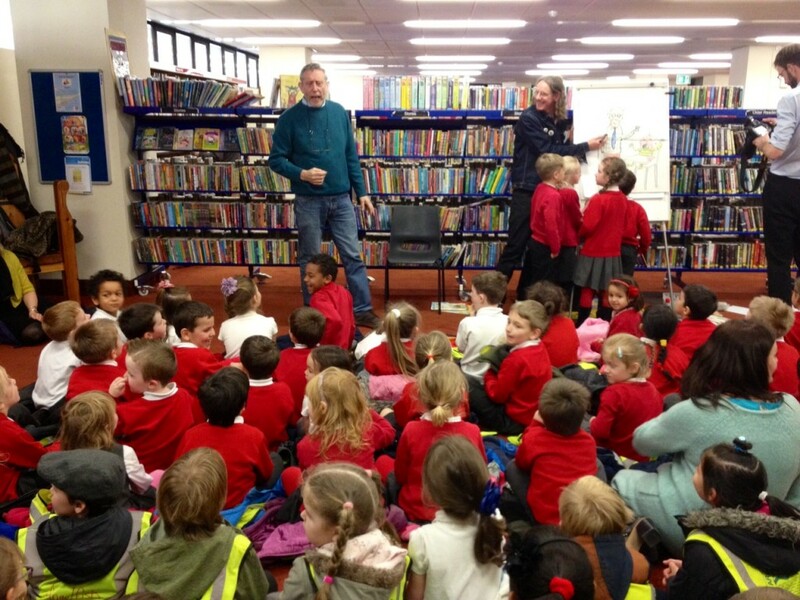 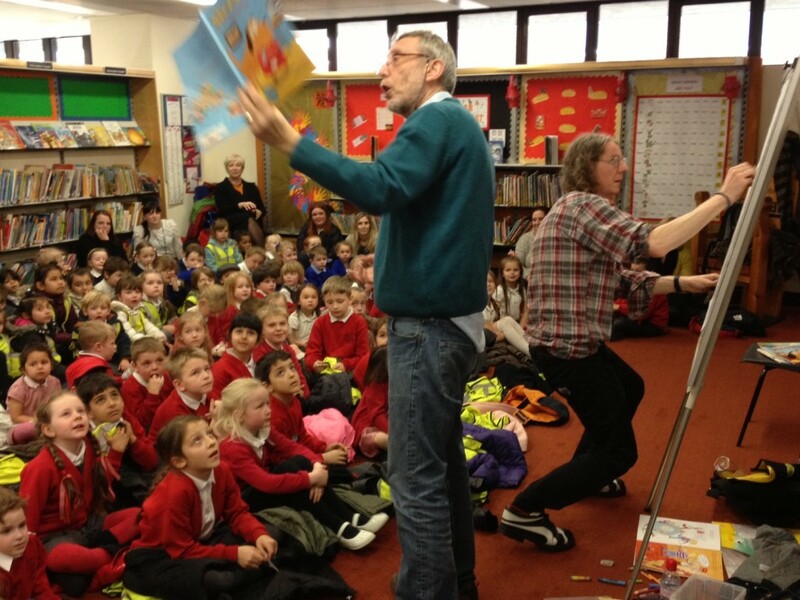 Some photos of Michael Rosen’s recent visit to the Central Library in Portsmouth. 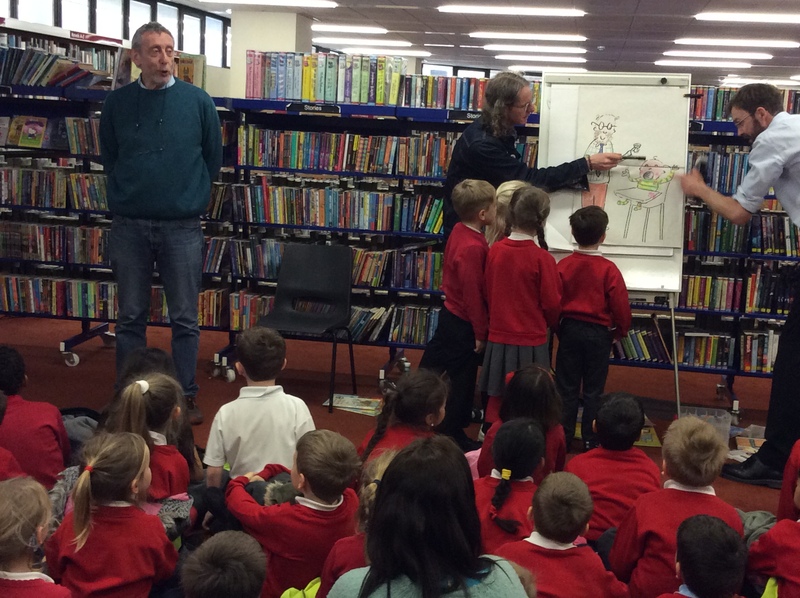 Speed drawing, keep up Neal…! 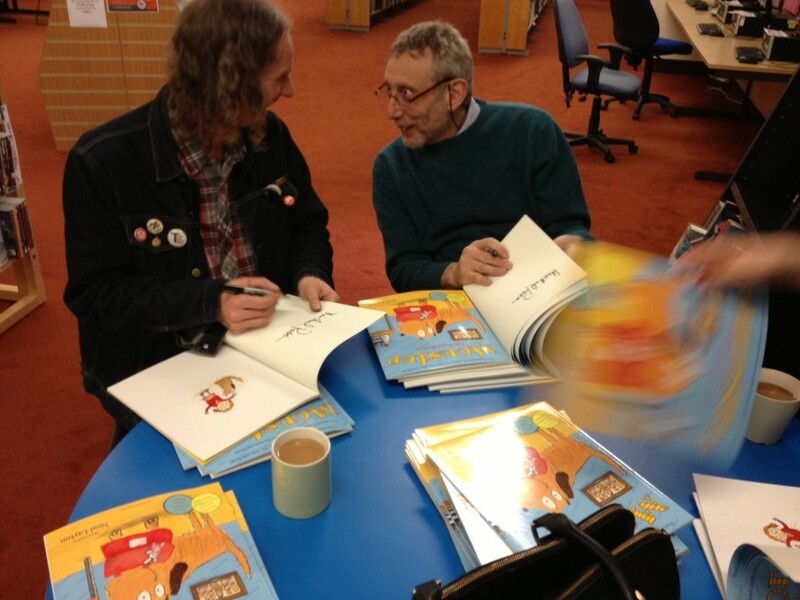 Signing books after the event with a well earnt cuppa. 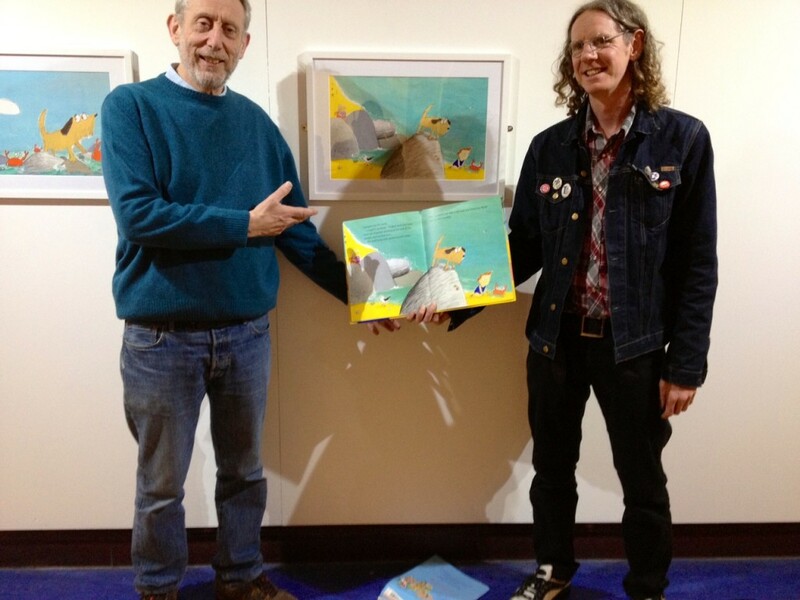 At the Guildhall with some of the orignal artworks from the Rover books.